NOTICE: Florida Lupine Association has changed its name to National Lupine Association as of 1 July 2016. We are in the process of transitioning everything in the organization, including the website. We appreciate your patience and understanding. the responsible voice for wolfdogs. What is NLA? Check out what we are about -- our origins, history, constitution, bylaws, and code of ethics. 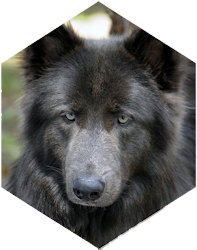 Educational information on phenotyping, genetics, domestication, misrepresentation, rabies, etc. Check out the Florida Lupine News. The most recent volumes are members-only and are unavailable to the public. 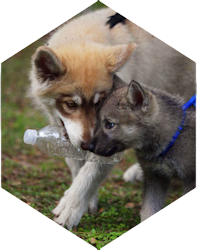 Have you ever been to a wolfdog gathering? Click here for information about our annual member rendezvous. 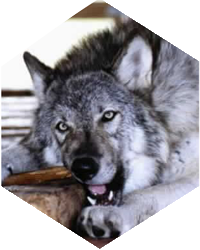 Do you want to join us in our efforts to better the plight of the wolfdog and their owners? Please consider becoming a member today. 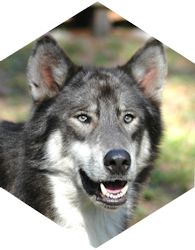 Our "Disaster Relief Fund" provides assistance to wolfdog owners and shelters that have been hit by a disaster. Donate today! Check out what is available for sale in our online store: T-shirts, tanks, caps, totes, books, wrist bands, CDs, and more. Great gift ideas for all! Check out the books and links FLA recommends. 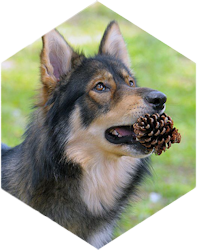 Learning about wolves provides a better understanding of dogs and wolfdogs! Below is the educational presentation that Kim Miles, FLA Director, gave to wildlife officers during the annual training session of the Florida Fish & Wildlife Conservation Commission (FWC) on 3 August 2015. 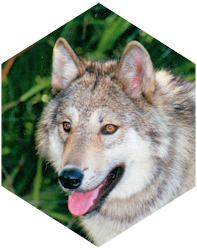 We are offering it here as a comprehensive educational resource for assessing wolf and dog content of an animal. We would like to thank the many individuals who contributed and made this presentation possible. It is available for educational purposes; however, it is copyrighted and may not be altered or reproduced without written permission from Kim Miles and the National Lupine Association. get involved! Become a responsible owner and advocate! Copyright Notice: No part of this website (text, photographs, code, layout, etc.) 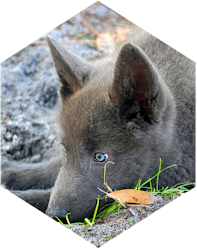 may be used or reproduced in any form or by any means, or stored in a database retrieval system, without the prior written permission of the Florida Lupine Association. 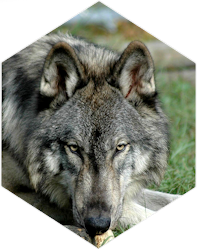 No photographs on this site may be downloaded, reproduced, distributed, copied, stored or saved to disk, or manipulated in any way without the prior written permission of the National Lupine Association, Inc., and the copyright owner.